1. Know the real cost of things. The price tag is rarely the actual cost. Talk about hidden fees, taxes and interest. Talk about personal expenses – utilities, car payments, mortgage, and unexpected purchases that can lead to financial trouble if you don’t plan for them, like auto repairs and medical expenses. Building wealth is not about how much money you make, it’s about how you manage the money you have. Money flows out faster than it flows in. Learn to spend less than you earn. Plan for purchases, comparison shop, negotiate terms and fees and save up money before buying things. 3. Be very careful with credit cards. Talk about the pros and cons of credit cards. One missed credit card payment can set you on a course toward long-term debt. Misuse of credit cards can also hurt your ability to take out a loan for a car or house. Don’t be afraid to share your personal experience with credit card misuse or debt and the sacrifices you had to make to rise above it. 4. Needs and wants are not the same thing. You will never have enough money to buy everything you want. Choose wisely. Is instant gratification more or less important than a comfortable lifestyle? Today’s choices will affect your future financial well-being. Again, share stories of choices and consequences. 5. Learn the secret to saving. The easiest way to build wealth is to set up automatic savings. Enroll in payroll direct deposit. 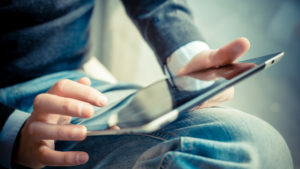 Schedule recurring automatic money transfers from checking to savings. Start small and increase with pay raises. If you learn to put money aside and live below your means when you are young, it will be easier to build wealth as you move up the ladder. Most adults in or nearing retirement wish they had saved more money. Nearly half of Americans have no retirement savings and still have to work when they are 70 and 80 years old. The younger you start saving, the greater control you’ll have over your financial well-being. 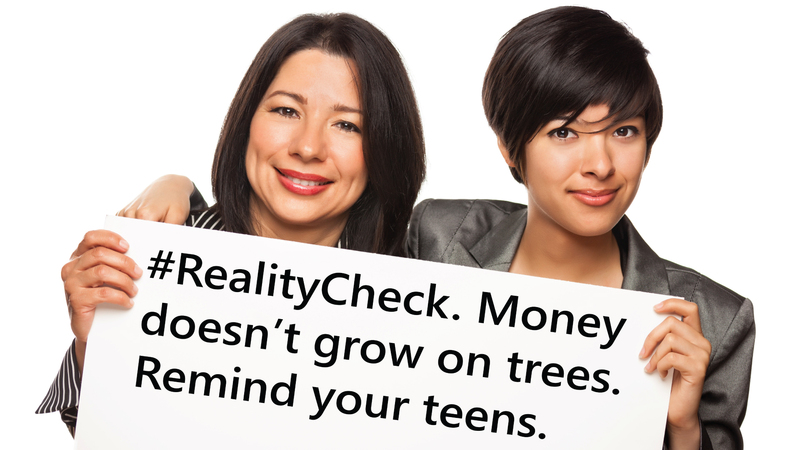 Talk to your teens about your personal retirement preparations. However you decide to prep your kids for the real world, be sure money is a topic of conversation.